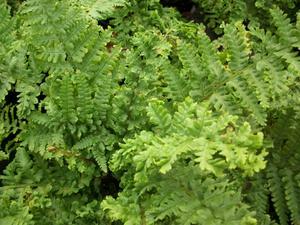 Long tapering fronds have a crinkled appearance. New growth is chartreuse in color and darkens to olive green. Adds great texture to any garden.